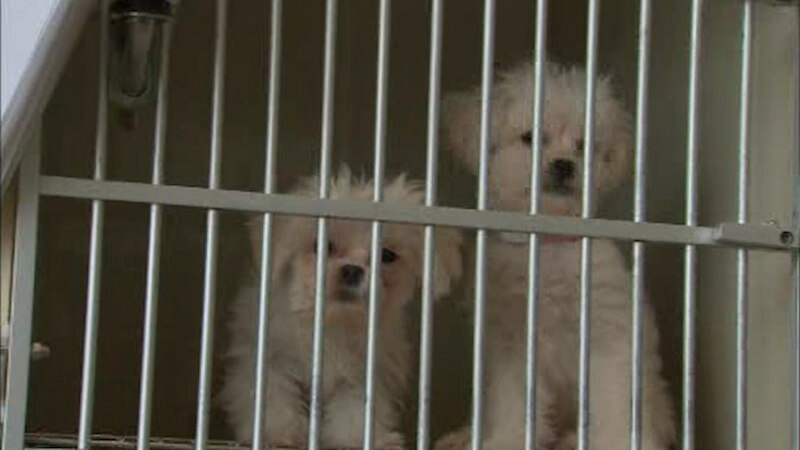 PARAMUS, New Jersey -- A New Jersey pet store owner says he is terminating his lease and leaving his location a month after 67 puppies were found inside a van behind the store. The Record newspaper reports a special Monday night hearing on whether to revoke the business license of Just Pups lasted under a minute. Paramus officials say attorneys on both sides reached a tentative agreement for the store to surrender its licenses. The mayor and council can approve or reject the deal Tuesday evening. Owner Vincent LoSacco says his landlord plans to redevelop the property and he had already agreed to leave. LoSacco said his Paramus location has been combined with his Emerson store. LoSacco is charged with 134 counts of animal cruelty. He has denied any wrongdoing.